Ironically, I wore this incredibly bright outfit to check out some of the best fall pieces available at the Nordstrom Anniversary Sale. I definitely stood out in a sea of black, white, oxblood and gray, but I just felt like it was time for some serious color! 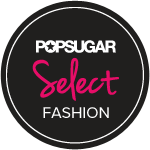 Speaking of the sale, you guys MUST check it out! The pieces from the Savvy and TBD departments are absolutely perfect! I legit want one of everything. I may be biased because fall is my favorite season when it comes to clothing and I can never get enough of skinny jeans with sweaters or loose tees and biker jackets, but for real. The prices at the sale are incredibly generous! Oh, and if you go to Nordstrom Pentagon City's Facebook page, you have the chance to win an item of clothing of your choice from the sale from one of these departments! Yay! Just leave a comment on the photo of me and some gorgeous fellow DC bloggers from last night and let them know you found the link here on Chain Strap Purse! I love that blouse! 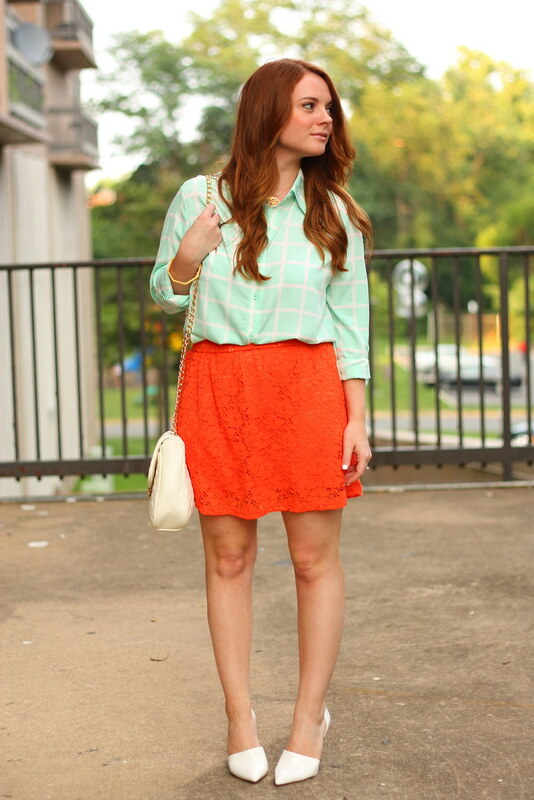 I agree- it's only July so bright colors are a definite still but that skirt can definitely transition into fall! I was just at that mall over the weekend! I was disappointed in forever 21... nothing good, looked like it was for teeny boppers! I love how you mixed these two colors up though. would have never thought of it! You look so adorable in this outfit. 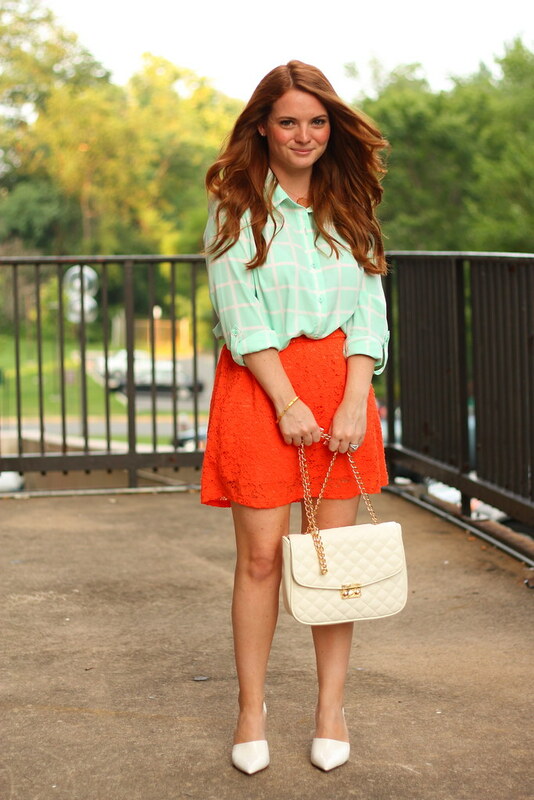 Love the orange skirt. I just wore that top last night! Love it with orange! I really love this combo! Super unexpected but it totally goes together! I also commented on your pic from the Nordstrom event.. hope it was a great time! Those shoes are fantastic! I love the shape, they're totally unlike anything else I've seen. 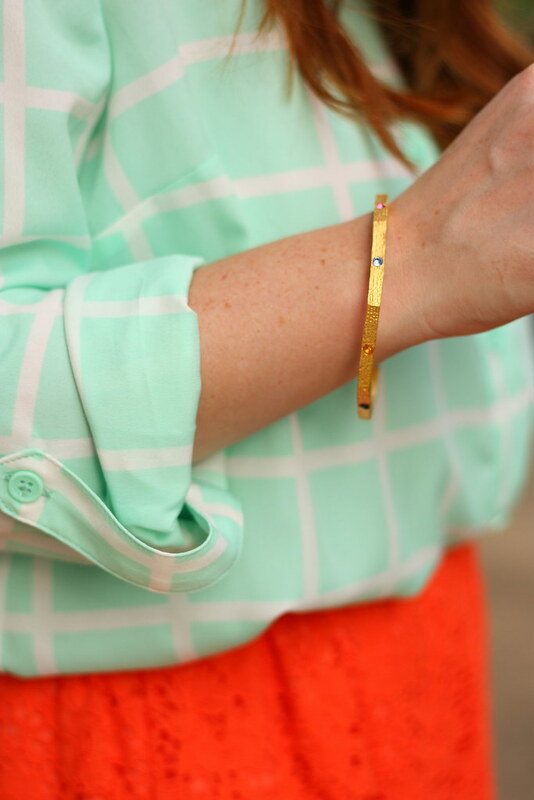 I'd never think to pair orange and mint together, but I LOVE the combination together! Super cute outfit!